Jose Mourinho talks about Michael Essien. 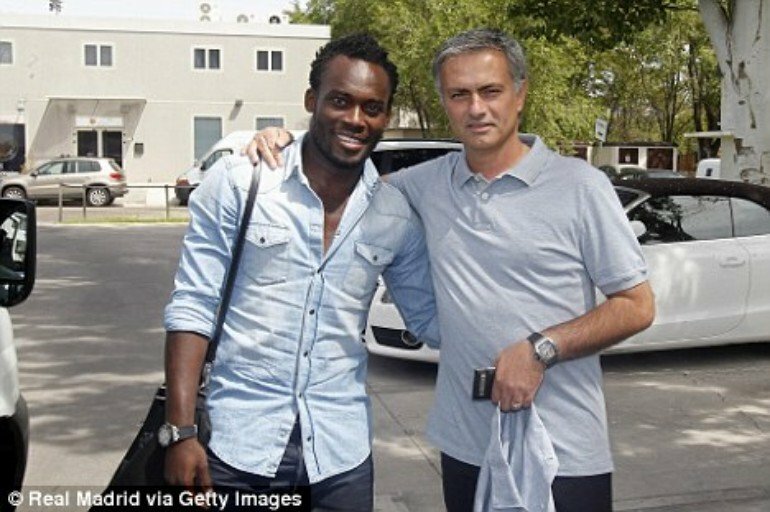 Manchester United manager Jose Mourinho says he sees Michael Essien as a son. Furthermore, Essien calls him his ‘daddy’. Moreover, Mourinho said that the former Black Stars midfielder made him fall in love with Ghana. Also, according to Mourinho, Essien opened up to him. Therefore, this built a bond between them which exists to this day. He made these statements in an interview with B4KO. According to Mourinho, Essien brought him to Ghana to meet his family. Therefore, that trip made him fall in love with Ghana. “The feeling is that he is more than a player for me. He was probably the one that took me to his home, to his real home. He took me to the place where he was born, to the streets where he was playing football as a kid, to meet the mum, to meet everyone that grew up with him in Ghana. Michael Essien joined Chelsea in 2005 from Olympique Lyon after being signed by Mourinho. Also, he later signed him to play for him when he joined Spanish giants Real Madrid.